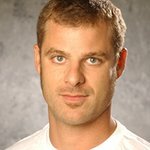 Matt Stone, Creator, South Park. On the advisory board for Declare Yourself. Google trends for "Matt Stone"
We don't have any videos related to Matt Stone.